Permit not needed for wolf-kill contest because event is ‘skill-based’: B.C. gaming branch | Wolf Web – the home of wolves! Provincial gaming officials say they won’t be intervening in a controversial wolf-kill contest in the Peace River region because no permits are required for such an activity. The Vancouver Sun on Wednesday asked the B.C. gaming policy and enforcement branch whether organizers of the contest required a permit given that the event involved entry fees along with cash and other prizes. The branch issued a statement through spokeswoman Sandra Steilo explaining that for an activity to be considered gaming, three elements must be present: consideration (players pay to be eligible), chance (outcome not predetermined), and a prize to be won (money or anything of value). A story published in The Vancouver Sun on Tuesday revealed that hunters who enter the contest and kill the biggest wolves stand to receive $250 to $1,000 and up. 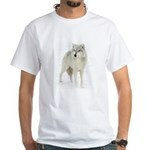 There is also a booby prize of $150 for the smallest wolf and draws for prizes such as a rifle and free taxidermy work. The contest continues through March 31. It costs $50 to enter the contest, with winners receiving 10 to 40 per cent of the entry prize pool in addition to the guaranteed prizes of $150 to $1,000. Among the contest sponsors are the Peace River Rod and Gun Club and Rich Petersen, a realtor in Fort St. John who has served on the board of directors of the B.C. Wildlife Federation. Blair Lekstrom, Liberal MLA for Peace River South, said a wolf-kill contest might not be the best tactic but it does highlight the need to control wolf populations for the benefit of cattle ranchers and ungulate populations such as caribou. “Would I go at it in a kill-contest scenario? No, I would not do that. But I do know something has to be done. We have a wolf problem, without question. We have to find a way to take some of them out. Pat Pimm, Liberal MLA for Peace River North, agreed, adding that sponsors of the contest are trying to help out the local ranch industry and bring the problem to the forefront “and I think that’s what they have accomplished. Pimm said some ranchers are incurring livestock losses of $10,000 a year and he’s even heard $100,000 anecdotally in one case. The B.C. Ministry of Agriculture reports compensation payments to ranchers for livestock losses to predators — not just wolves, but bears, cougars and coyotes — totalled $63,800 last year based on 133 losses verified by conservation officers. Pimm said provincial compensation in no way covers the total losses, noting that in some cases there is just skin and bones left by the time a farmer finds a cattle carcass, making verification impossible. Noted wildlife photographer John Marriott, who grew up in Salmon Arm but lives in Canmore, Alta., is calling for a tourism boycott, urging his “readers, which number in the thousands” to avoid the Alaska Highway as long as the wolf-kill contest continues. The Sun has received several emails from people disgusted with the wolf-kill contest and saying they would be cancelling their travel plans to the region and some would no longer support Re/Max because Petersen owns the Fort St. John office. Minister of Forests, Lands, and Natural Resource Operations Steve Thomson, said only that the contest does not violate any provincial wildlife laws. The province last week released a draft wolf management plan that calls for hunting, trapping and even aerial shooting to control wolves, especially to protect livestock but also to help the recovery of caribou populations. The draft plan says B.C.’s “wolf harvest” is at its highest since 1976, when the species was declared a fur-bearer on which royalties are paid to the Crown; a high of 1,400 “wolf removals,” occurred in 2009. The deadline for responding to the draft wolf plan is Dec. 5. McAllister, who lives on Denny Island on the B.C. central coast, where he has observed wolves for 20 years and written two books on them, is asking the province to extend the deadline.